Flemish painter, member of a family of painters. Most of his surviving work was painted in Cologne around the turn of the 17th century. His son George Geldorp worked as a painter and art dealer in England in the mid-17th century. After training in Antwerp, first with Frans Francken I and later with Frans Pourbus I, he became court painter to Charles of Aragon, Duke of Terranova. 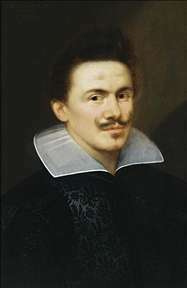 In 1604 he went with the Duke to the Catholic city of Cologne, where he remained for the rest of his life, working primarily as a portrait painter for the well-to-do. Most of his 70 works are painted on panel. He executed a series of nine family portraits that are mostly signed and/or dated and are inscribed on the back. These date from 1590 to 1610 and are all in the Rijksmuseum, Amsterdam. The sitters were painted either three-quarter-length, half-length or head and shoulders. The earliest of these are Jean Fourmenois (1590) and his wife Hortensia del Prado (1596) and the latest Jeremias Boudinois (1610) and his wife Lucretia del Prado (1610). The style of these portraits changed little; they are traditional but painted in a smoother manner and with more colour than portraits by the old Cologne masters. 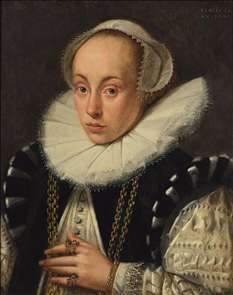 Geldorp also painted versions of existing portraits: for example the portrait of Elisabeth von Steinrodt is from a picture painted in Cologne in 1551.